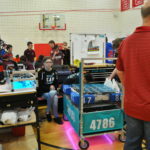 While Sussex-Hamilton mini regional may not have been the stunning stunt it was for a few teams (looking at you 269, Cooney Tech), we did successfully demonstrate our movement and vision code, a major achievement for our Control and RDM departments. 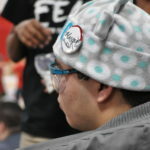 We in Media also captured a number of photographs we would like to share with you. 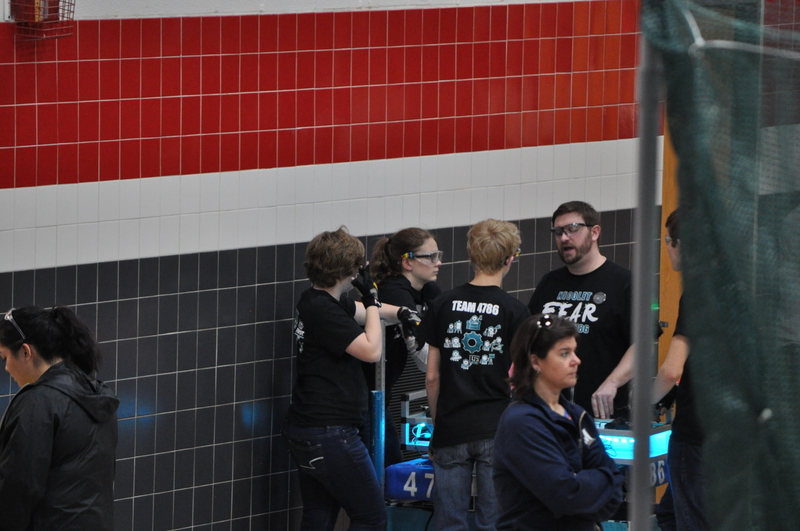 Our alliance preps for play. 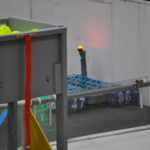 Meshbot, prepared for a match. 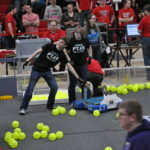 The competition team carry the robot off the field. 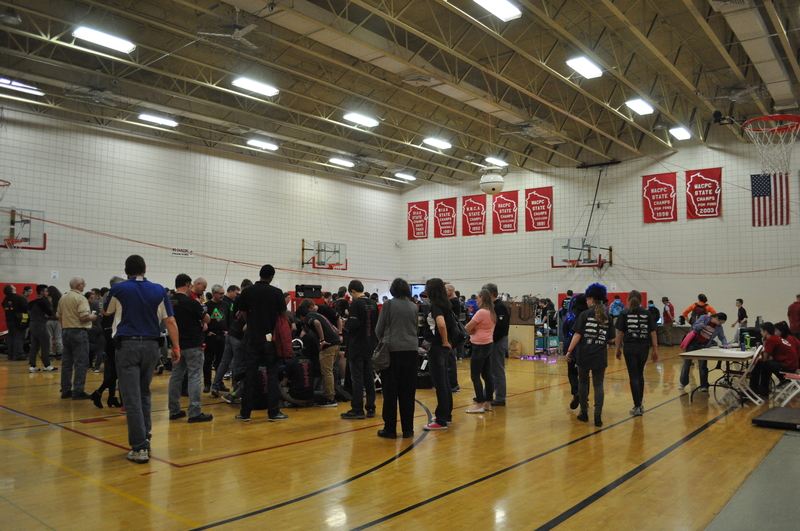 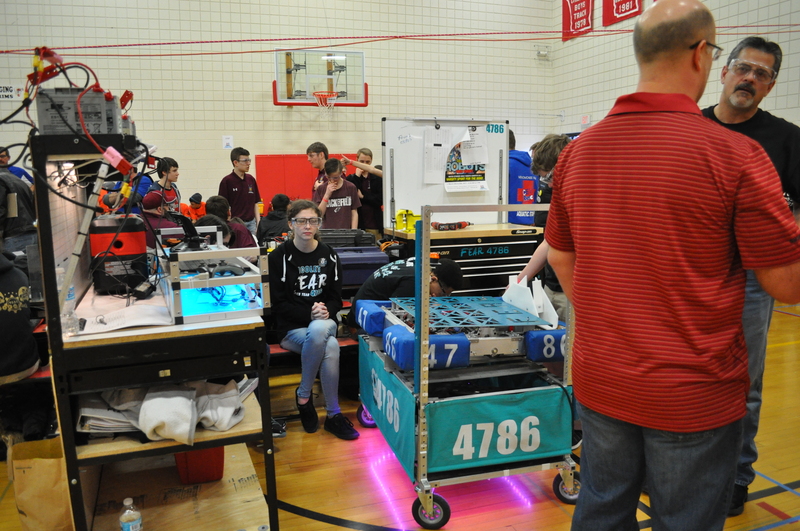 The competition team waiting the queue with Meshbot for their match to begin setup. 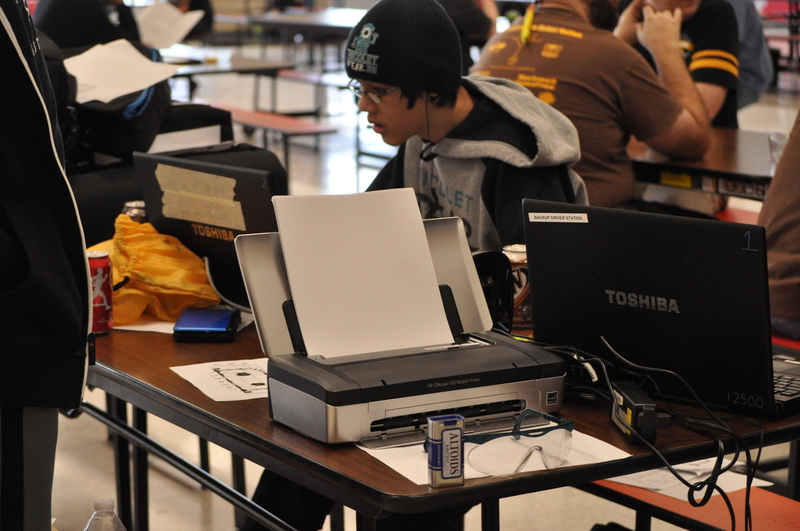 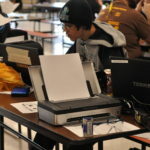 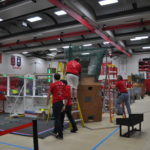 Our computer Analyst station, where the raw data collected by scouts is turned into workable information for our competition team. 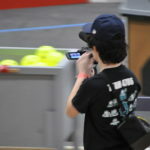 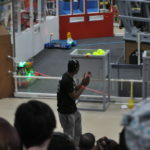 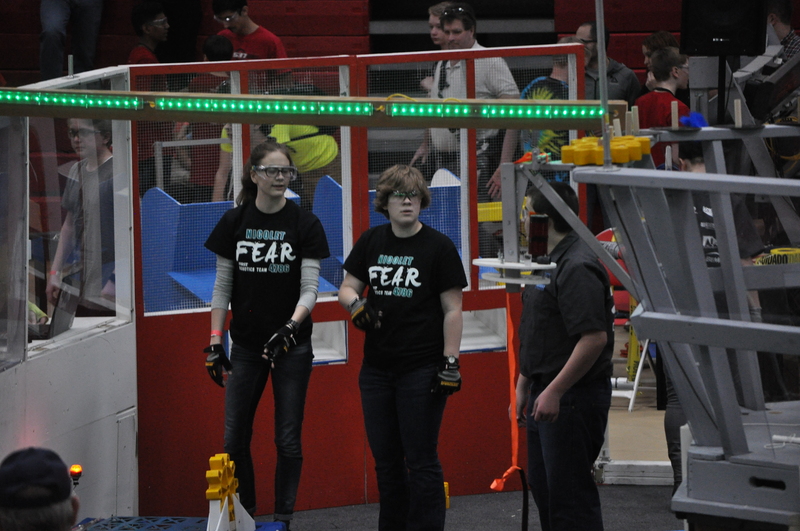 The competition team check the robot on the field to prep for the match. 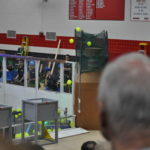 A robot shoots high goals into the boiler, for one point, or kPa, per three balls. 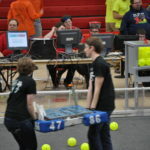 Our competition team, on the field. 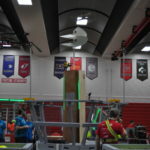 Our scouts observe and record all the matches. 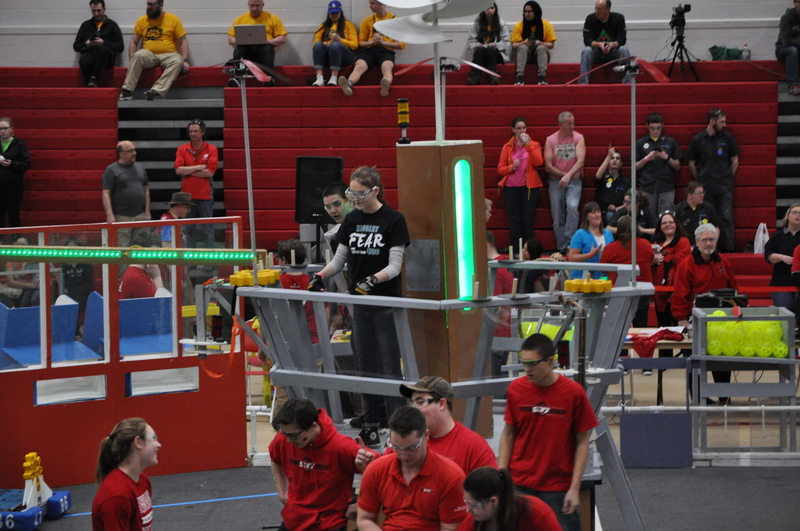 Our human player, Cassie, waits on the airship for the start of a match. 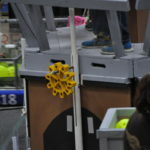 A successfully loaded gear is raised to the human player. 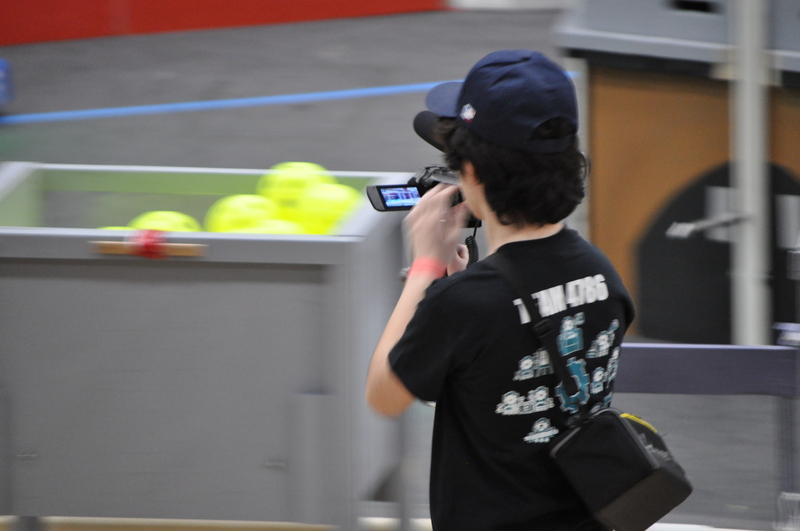 Wyatt films the matches, as Business Director Kaeson and MaScout Paco engage with the crowd. 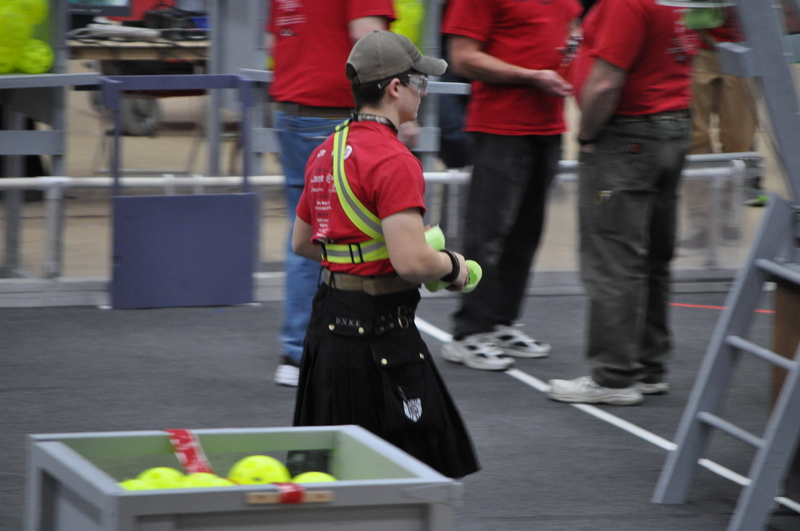 Our MaScout at rest between cheer-offs. 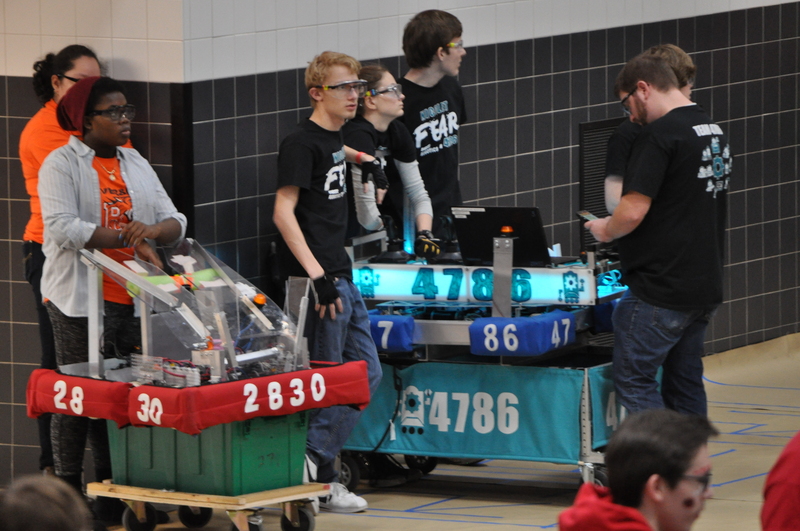 Our drives prep for a match. 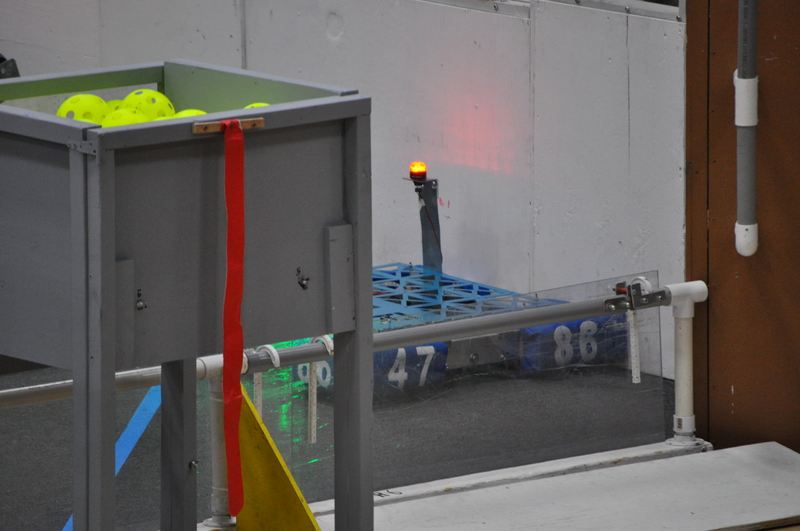 Meshbot in our pit, where maintenance takes place. 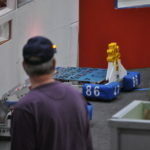 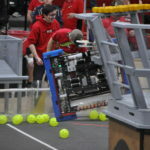 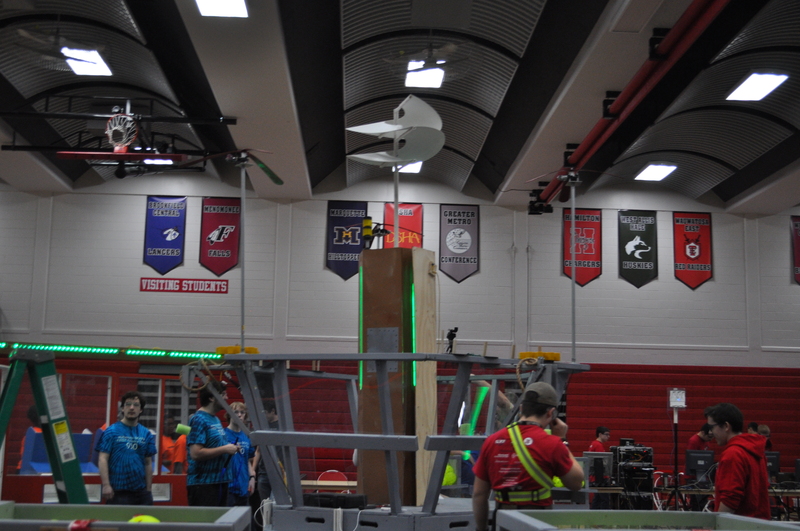 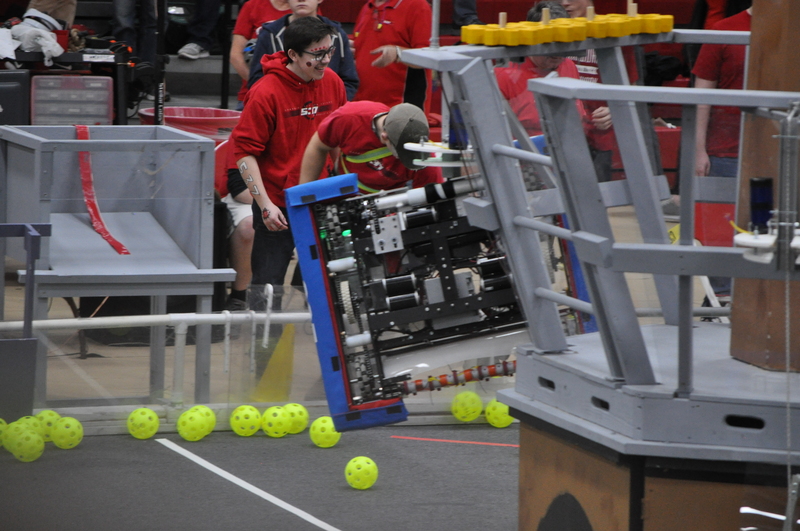 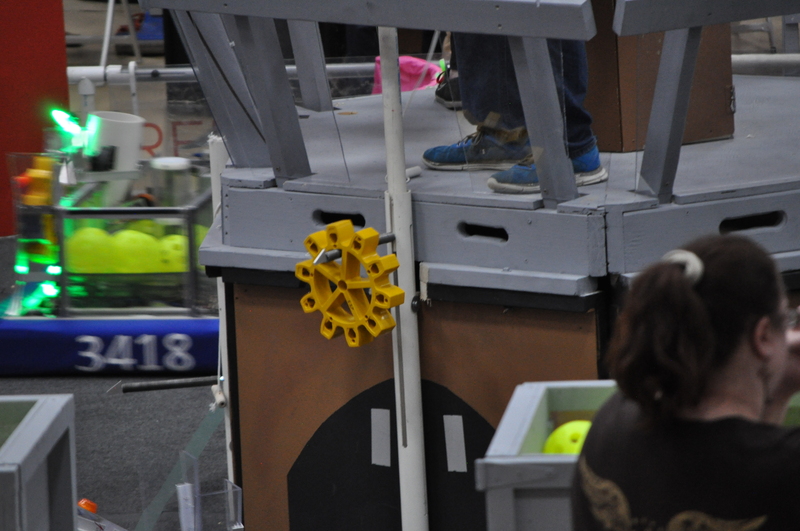 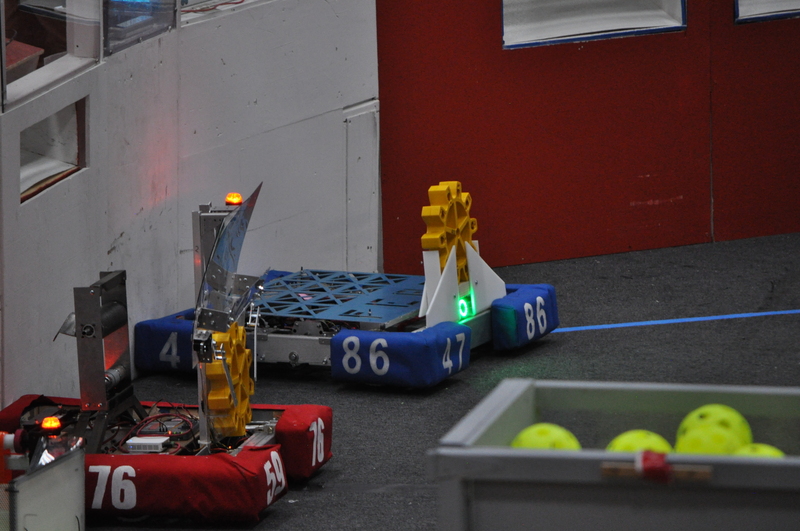 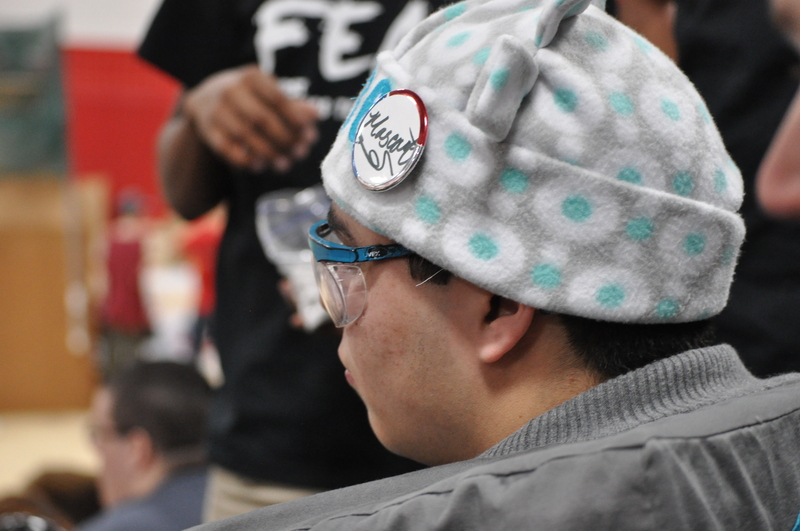 Our robot, affectionately nicknamed ‘Meshbot’ for its covering, mid-match. 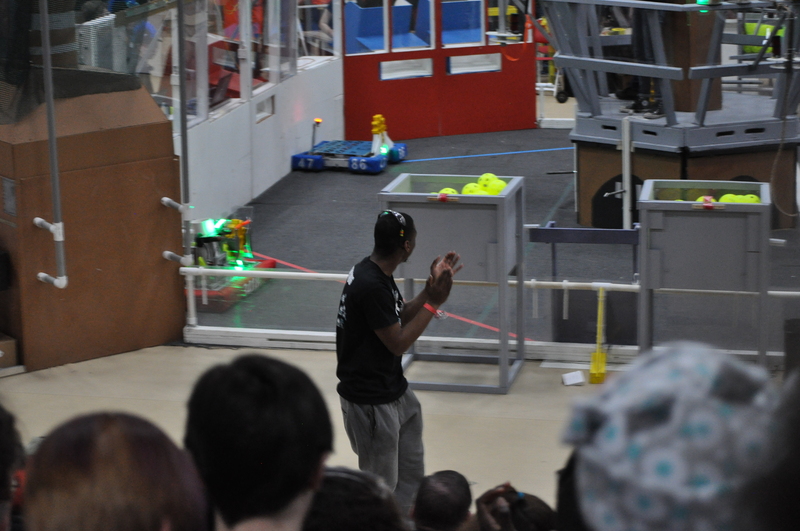 Thaddeus, our President, engages with the crowd. 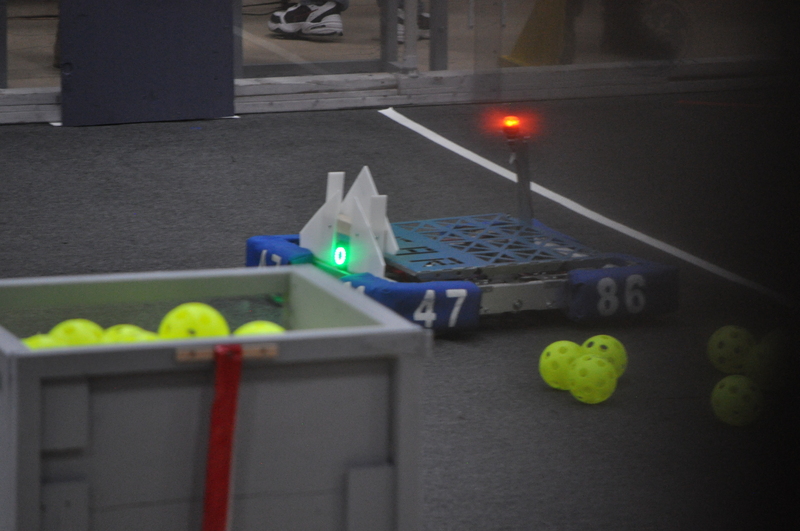 Our robot on the field. 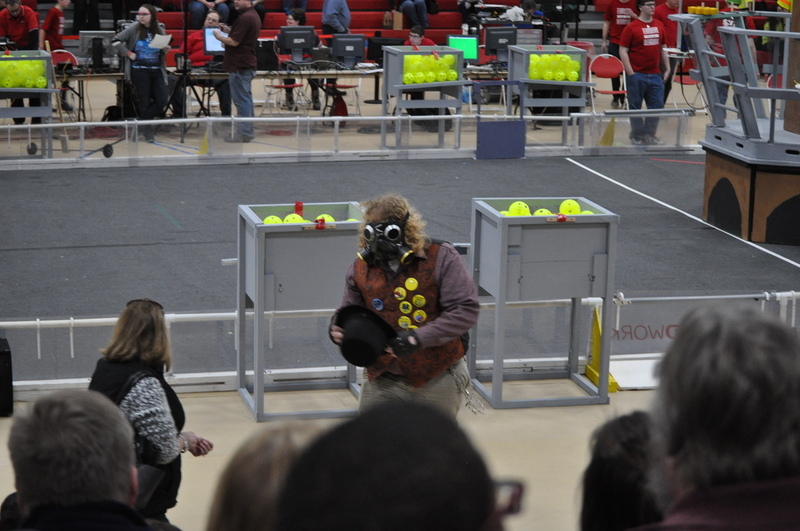 A member of our hosting team, 537, helps prep the field for play. 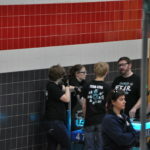 Our competition team examine the field. 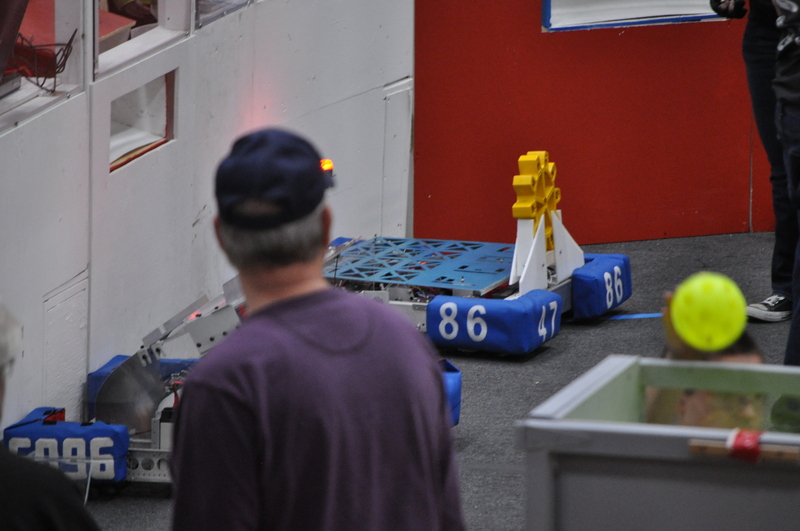 The drivers wait with the robot in the queue. 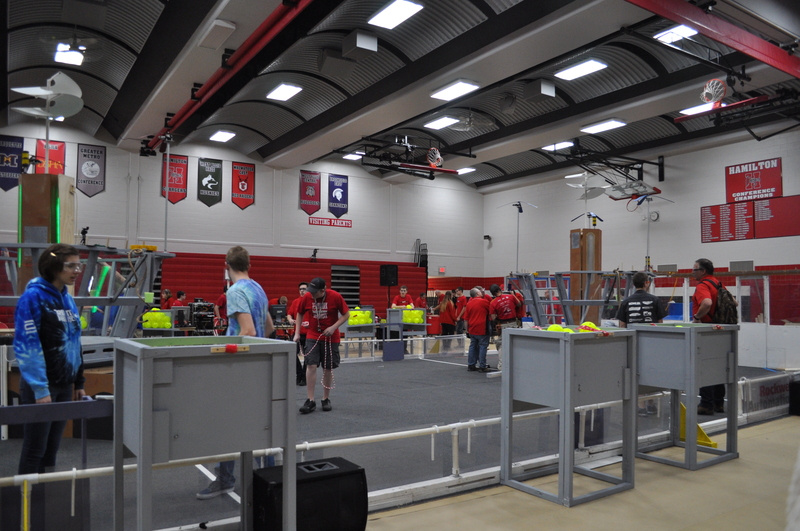 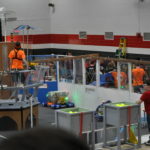 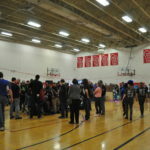 The Pits, where teams set up their Pit, an area to keep robots and tools when making repairs, modifications, or otherwise not competing. 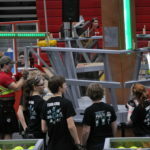 Team 269 climbs the rope to “board the airship”. 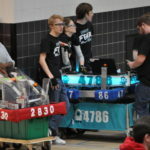 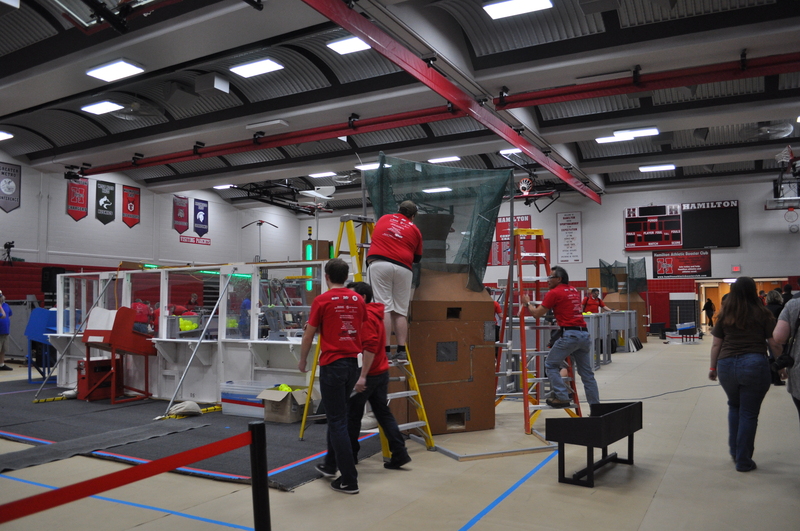 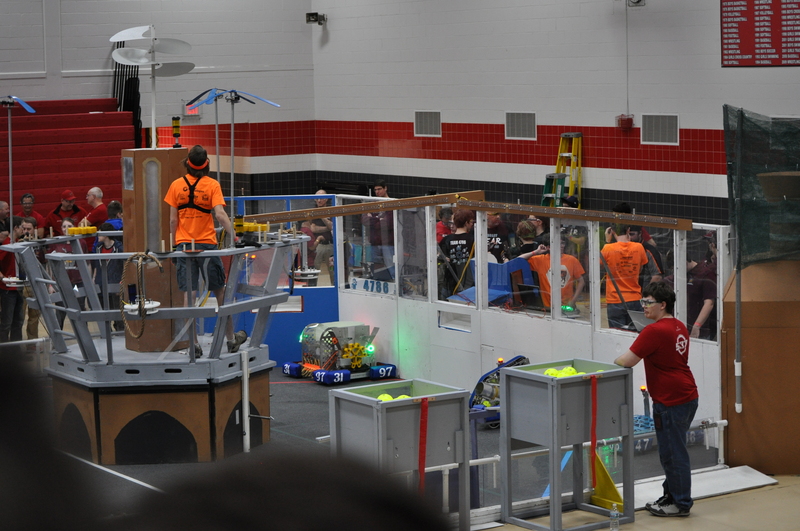 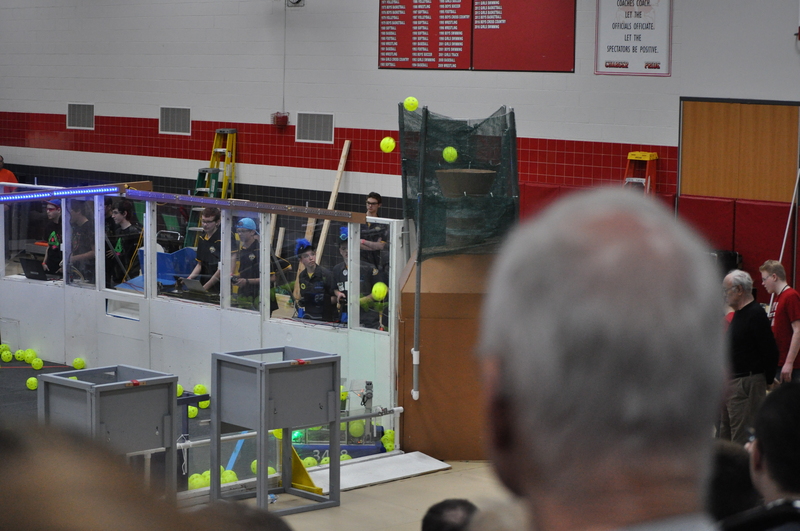 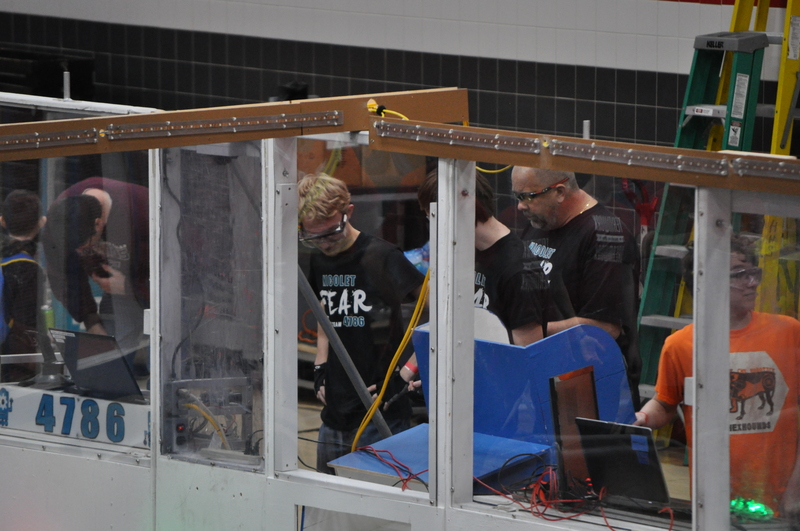 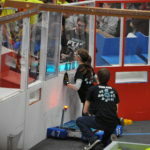 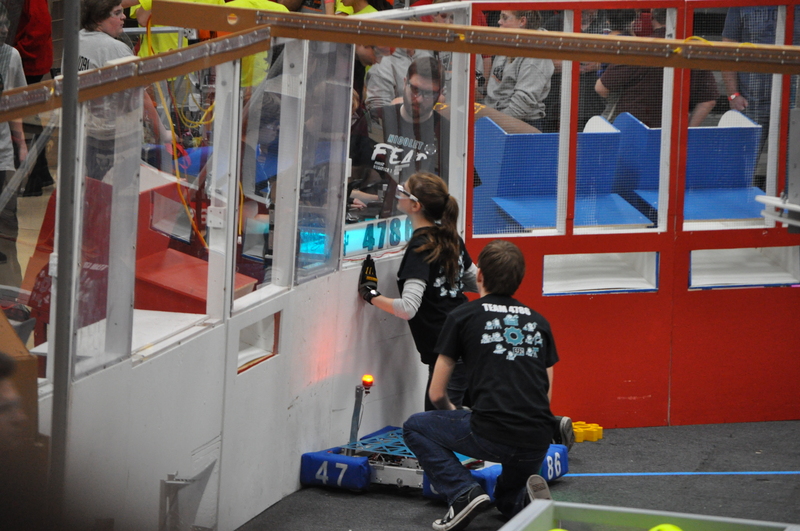 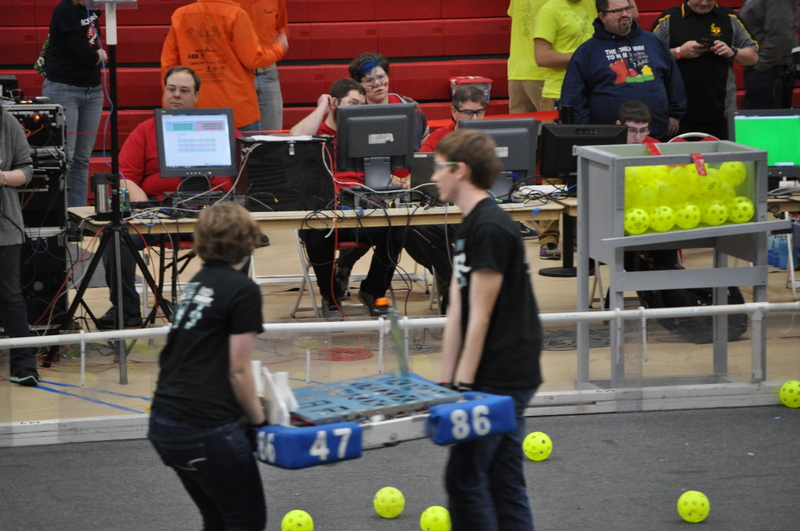 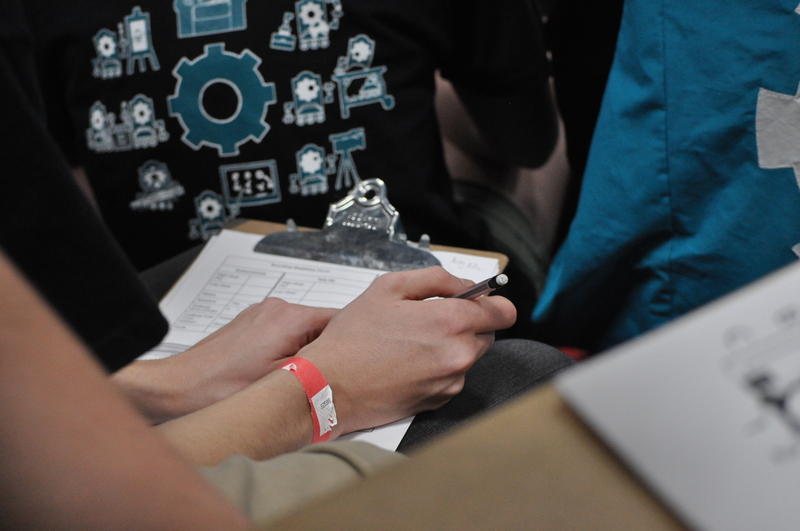 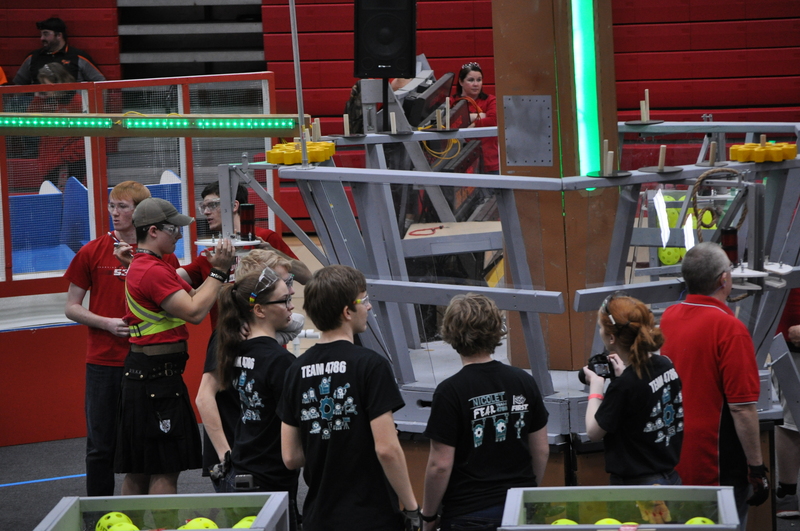 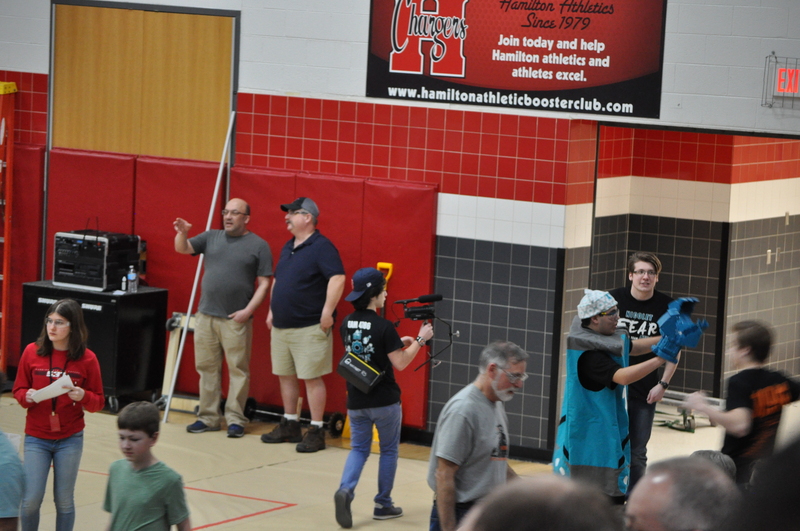 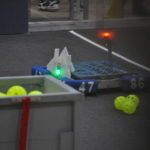 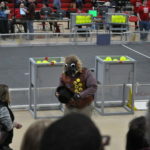 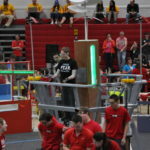 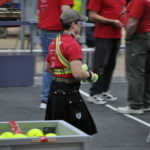 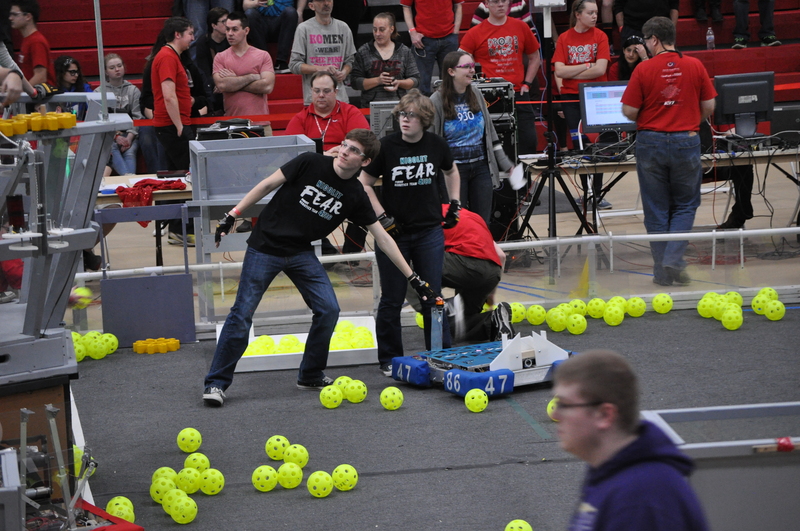 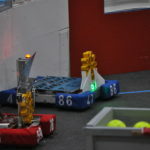 The competition team prepares to return Meshbot to the pit after a match. 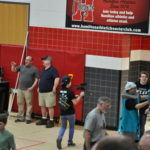 Wyatt, a member of Media records the matches.